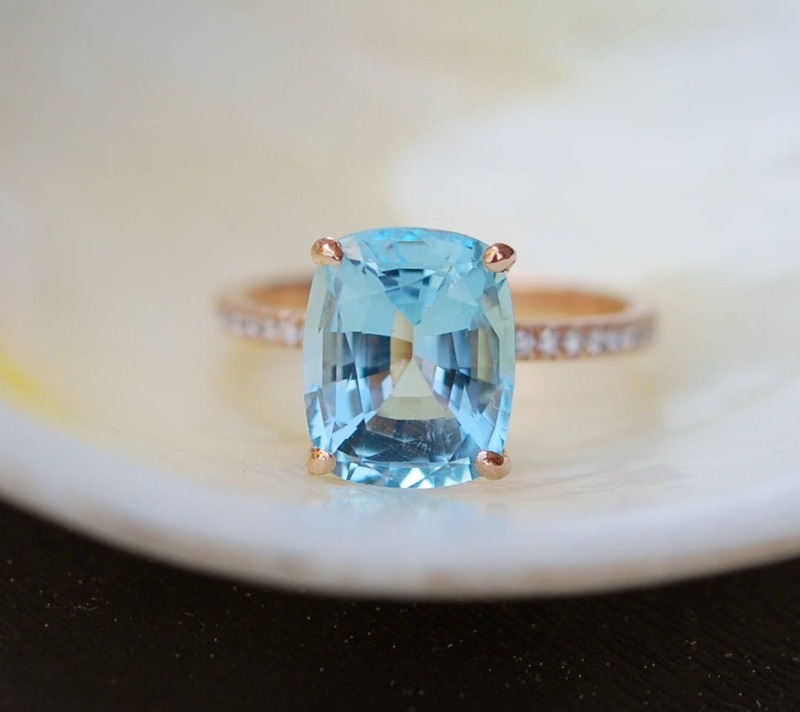 Aquamarine engagement ring by Eidelprecious. 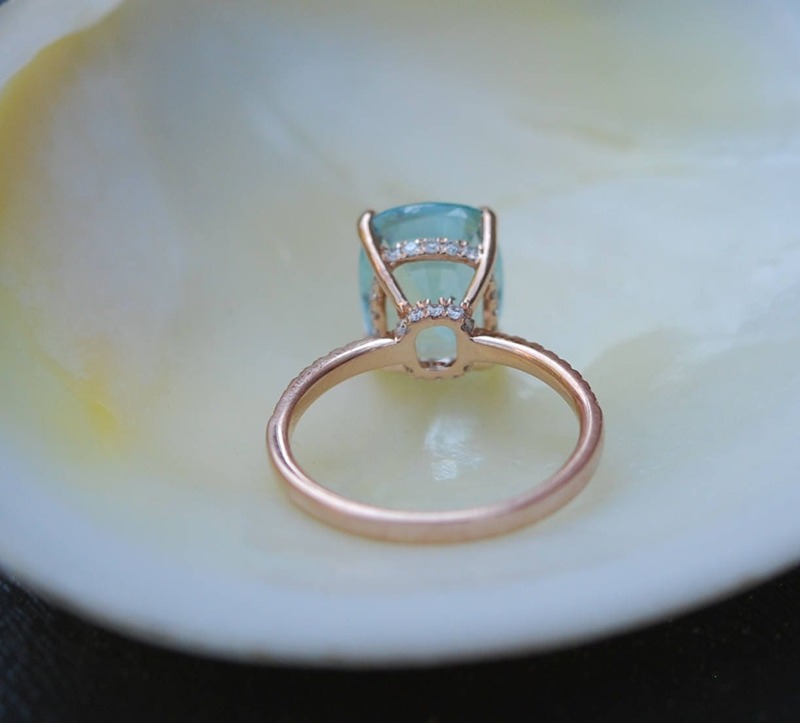 Very beautiful ring features a natural non-treated aquamarine in gorgeous Caribbean blue green color. 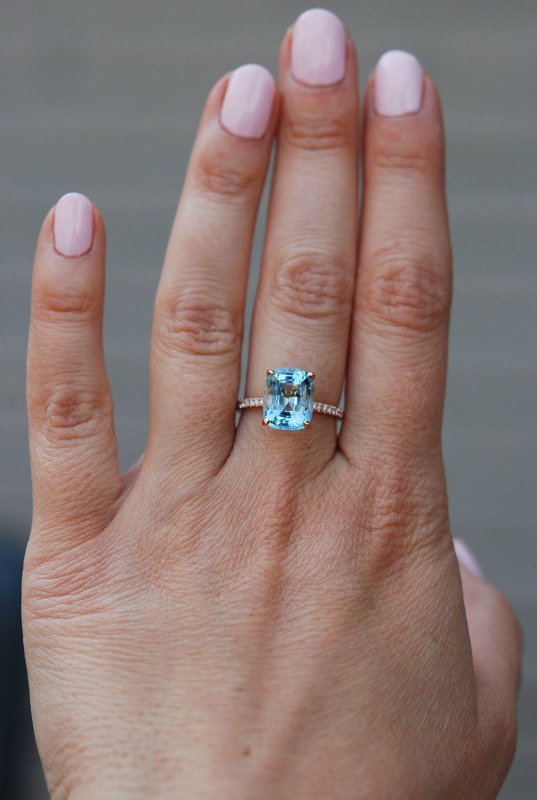 This stone is 3.47ct, eye clean, unheated. 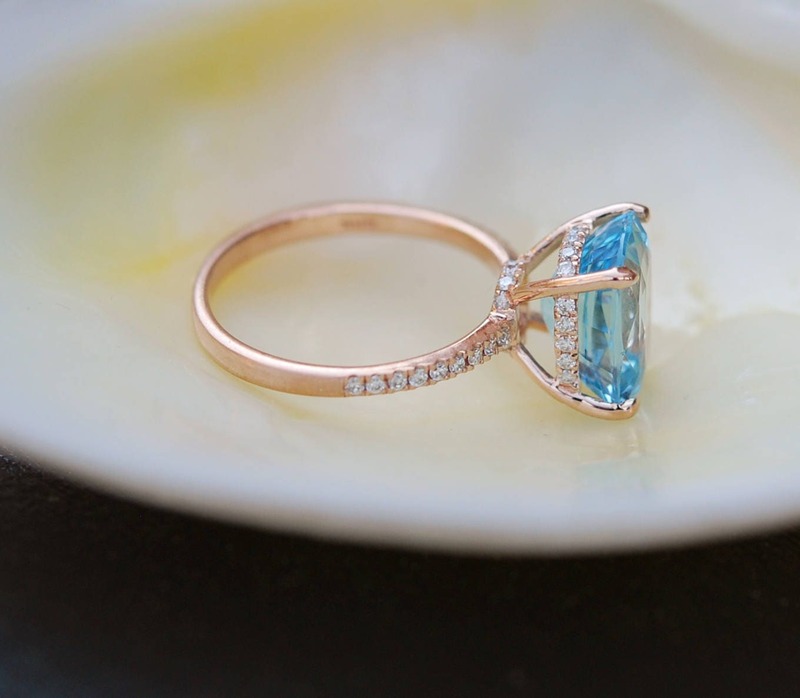 The setting is 14k rose gold. Diamonds are SI/H-I, TDW approx. 0.25ct.